What exactly are extended techniques? Travis Laplante: Extended techniques is a general term referring to non-traditional methods of playing to create sounds or timbres that are unusual. How did you first start experimenting with and using extended techniques? TP: I began experimenting with extended techniques as soon as I began playing the saxophone. I remember my elementary school friends and I turning our mouthpieces upside down and squawking at each other. I also saw the percussive abilities of the saxophone keys right away and enjoyed making beats with just the keys. I was free to explore and lucky that I had parents who didn’t judge my practicing. They would never come into my room and say "what are you doing?!?" This being said I didn't really start to deeply explore extended techniques until I was in college. This was a time where I was questioning my relationship to playing straight-ahead jazz music. I loved jazz music so much but realized that I didn't want to live my entire life trying to emulate the way the saxophone was played in 1958. I needed to find a relationship with the instrument that felt of the present and more in alignment with my soul. This was a time when I knew I needed to break through certain psychological limitations on how I viewed the saxophone and dive deeper into translating sounds from my imagination into reality. Is there a certain way you like to incorporate extended techniques into your compositions? Many people use extended techniques merely as effects or novelties, but like other aspects of music there are never-ending layers to what can be created. I am interested in cultivating the intricacies of extended techniques and orchestrating them for multiple instruments. It's also important to me to portray something that's deeply musical and not just a 'cool sound'. I've been working on multi-phonics for many years and love composing multi-phonic parts for saxophones. This reveals the saxophone as such a beautiful chordal instrument. The key for me for incorporating extended techniques inside of my compositions is working closely with the performers to understand the subtleties of their particular instruments. From my experience this is the most direct way to discover what sounds are possible. I believe that musicians should be exploring their instruments from the beginning along with their learning of traditional technique. There is a sense of innocence early on in one's relationship with his/her instrument that could end up going away over time if there isn't a window left open for pure exploration. I feel like it's important not to always pressure oneself to make sounds that are 'good'. What is 'good'!?! It is important when exploring new and unusual techniques to not overly judge them because they don't sound 'good' at first. There might be something there. Be patient. Beauty might be just below the surface of a sound you feel is worthless in the beginning. I have also worked very hard on traditional saxophone technique, but feel like there should always be an openness to expanding one's imagination through the saxophone. Do you have any major influences that have inspired you to use and experiment with extended techniques? Joe Maneri was/still is a big inspiration for me. Not directly with extended techniques but the fact that he really had his whole own completely distinct technique which was so wide open to my ears. I remember hearing him play and more than once he would take the horn out of his mouth and literally start crying on stage. His music touched my heart. I was/still am inspired by John Coltrane in the way he kept pushing deeper and deeper into the saxophone as a technical instrument while having it all be in service of something greater than just himself. This year my tenor saxophone quartet Battle Trance (with Patrick Breiner, Matt Nelson, and Jeremy Viner) is continuing to tour Blade of Love, both in the US and abroad. 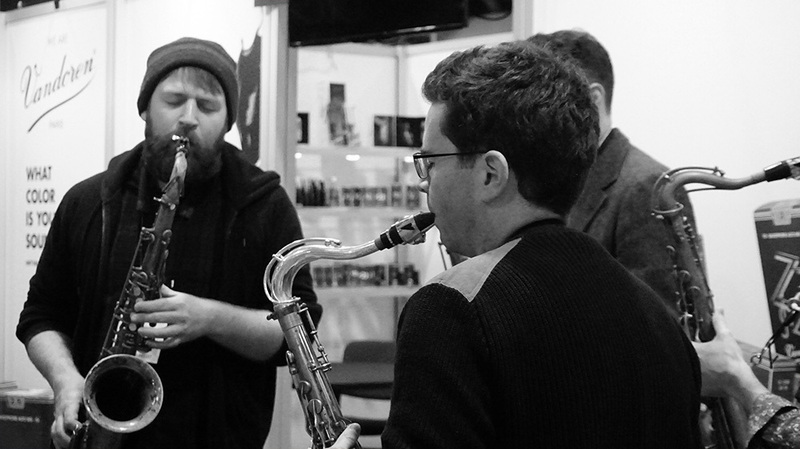 I also have a new band called Subtle Degrees which is a saxophone/drum duo with Gerald Cleaver that will be going into the studio later this month. 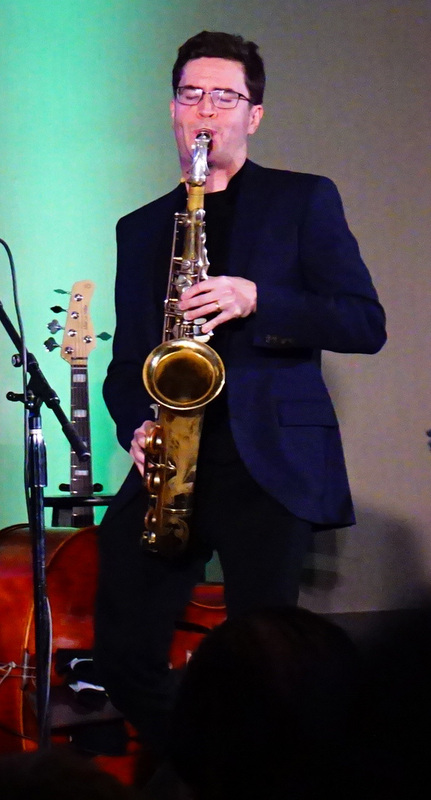 I continue to work on solo saxophone material which is a life-long project.